Indian film actress Sara Ali Khan is going to become more busy. Sara Ali Khan going to become legend. Sara Ali Khan is going to become more busy. Indian film actress Sara Ali Khan is the subject of hot news in the Indian traditional and also social media. 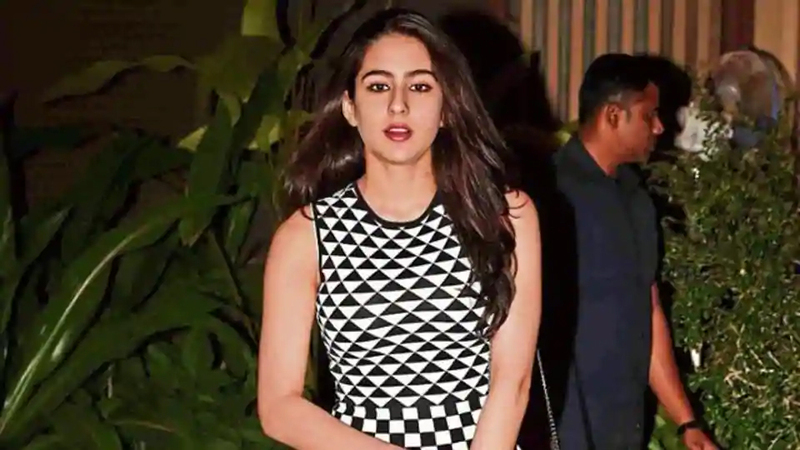 Several quarters are describing her a legend actress of the of the future cinema Besides, several film directors and producers too, have expressed their wish to cast Sara Ali Khan in their future films. Sara is the daughter of Hindi film actors Saif Ali Khan and Amrita Singh. As regards media’s attention towards her, it is being said that even her father Saif is not happy over comments presented in traditional and social media. He says that his daughter still has signedonly two films but unnecessary and negative comments are passed. However, he says that my daughter will review all this matter herself and he will not dictate her anything because he is not a father of traditional thinking. He is of the view that enforcing any opinion forcefully or dictating children is not a good or proper way. He further says that he and Sara enjoy the relationship of being friends also and not only the relationship of father and daughter. It is important to mention here that when Sara was a young child, her parents separated and divorced and her custody was given to her mother. Initially the father was not even allowed to see her but later they reconciled. Sara Ali Khan who was born on 12 August 1995, also performed in advertisements in her teen age. His father says that she was inspired to enter this field after seeing actress Aishwarya Rai’s performance on stage in Chicago, United States of America. Sara has graduated from Columbia University, U.S.A.
As regards Sara’s present days’ fame, Its reason is her performance in two recently released films, ‘Kedarnath’ and ‘Simba’. In the film ‘Kedarnath’ she performed the role of a Hindu girl who falls in love with a Muslim Boy. This film was not received very well and found mixed response because some contents of this film, in the opinion of some extremist political parties, were not suitable. They demanded for banning it. However Sara’s performance as an actress in the film was praised well. Saif Ali Khan may appear shortly. Meera is to appear before the court.